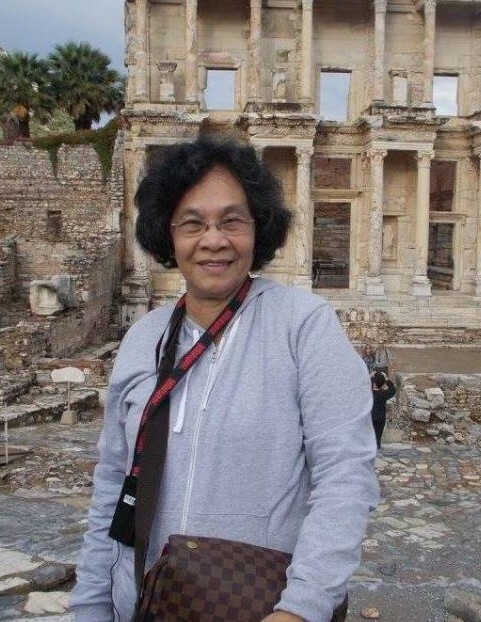 Nelly Armada Ramirez, 71, passed away on March 21, 2019 in Seattle, WA. She was born on January 18, 1948 in Janiuay, Iloilo, Philippines to Felicidad Reyes and Patricio Armada. Nelly completed college courses in the Philippines and worked overseas in medical facilities in Saudi Arabia before immigrating to Seattle in 1991. She married Peter Ramirez on January 8, 1993. Nelly was very devoted to and well loved by her family and grandchildren, and the life of the party at family gatherings. She enjoyed cooking, gardening, camping, traveling, spending time with her grandchildren, and capturing moments with her family. Nelly had a radiant, passionate, kindhearted and energetic soul, and brought laughter and smiles to all who knew her. Nelly was preceded in death by husband, Peter Ramirez, two brothers, one sister and stepson Philip Ramirez. She is survived by step-children Edna (William) Pagador, Rene (Danilee) Ramirez, and Isabel (Pedro) Blondet; step-daughter-in-law Phebe Ramirez; grandchildren Edwin & Danielle Pagador, Ener & Elin Ramirez, Raquele & Mirabel Blondet, Leslie, Jody, Marcus & Kendall Ramirez; great-grandson Miles Humphreys; and many other nieces, nephews and grandchildren outside of Seattle.